Loose: Also known as baggy, loose-fitting garments allow for ultra-free body movement. 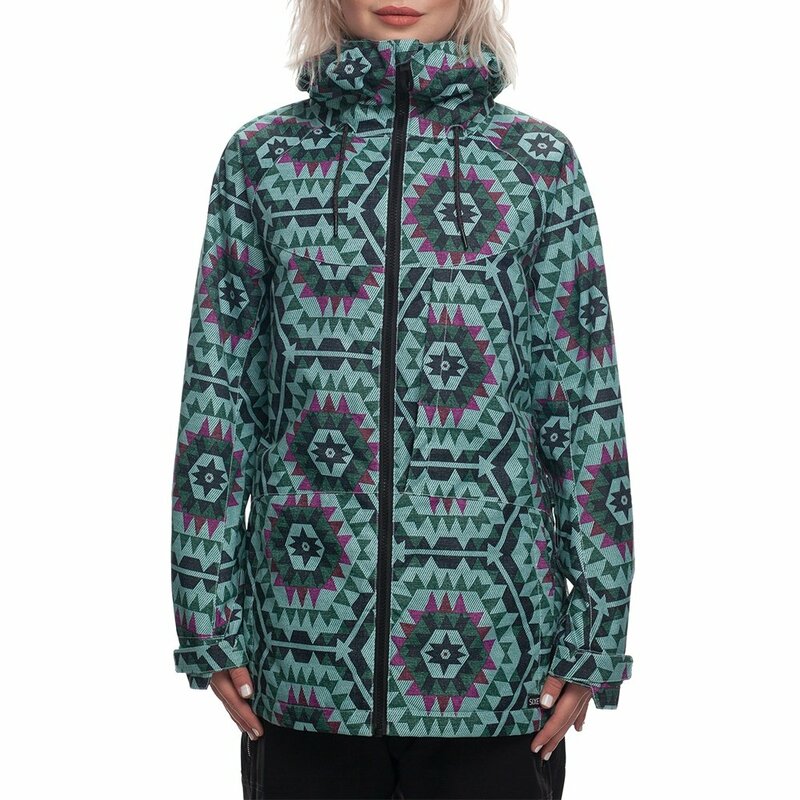 Athena was the Greek goddess of wisdom - a fitting name for the 686 Athena Insulated Snowboard Jacket since it's a smart choice for wearing on the hill this winter. This high-performance women's snowboard jacket has 10K waterproofing and breathability ratings, made to keep you dry in changing and unpredictable winter weather. It also has smartly placed insulation, with 80g in the core to keep your body warm and a lighter fill in the arms and hood. The powder skirt detaches, perfect for going straight from snowboarding to socializing. The Athena Insulated Jacket has plenty of handy pockets for your season pass, goggles, and media, and a loose cut for an effortlessly cool look. Stay dry with infiDRY® 10K waterproof fabric and a DWR waterproof finish. Variable insulation is heavier where you need it and lighter in areas where you need maximum movement. The polished style hides multiple pockets, a detachable powder skirt, underarm vents, and a Pant Jacket Connect™ system.